Though police said murder of American-Israeli, Ari Fuld was random, witness testified Palestinian terrorist targeted an Anglophone. 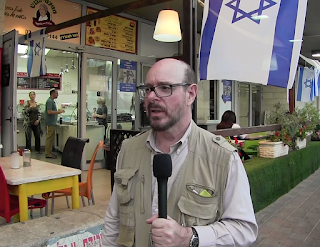 Anglo-Israeli slaying-survivor, Kay Wilson tours us along the West Bank / Judean route where Abbas cultivates murderers like hers. The Taylor Force Act, named after an American citizen killed in a terror attack in Israel, was part of a large budget bill that Trump has signed into law. The legislation that cuts American funding for the Palestinian Authority over its payments to convicted terrorists and their families, officially became a law after President Donald Trump signed a large budget bill that the act was a part of. The P.A. protested the passage of the legislation, which is named after Taylor Force, an American citizen murdered in a terror attack in Tel Aviv two years ago. 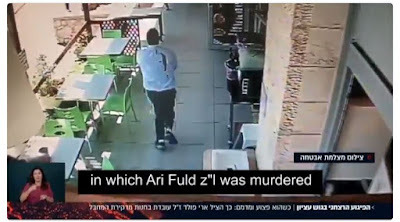 “There were other people in the area that he could have targeted first, but he chose Ari,” falafel cook, Hila Peretz, said. 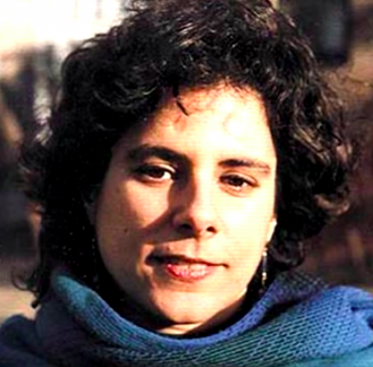 “But them he didn’t target, he must have wanted an American.” As for why Jabarin wanted an American, Peretz acknowledged that she could not know for sure. “I’m not sure what goes on in those Arab villages. They’re probably all riled up about Trump there or something,” she said. The Israeli TV public watched a Channel 1 dramatization of the Palestinian attack on an American Christian and an Anglo-Israeli, Kay Wilson, stabbed 13 times and left for dead eight years ago December. Kay Wilson is a British-born Israeli. 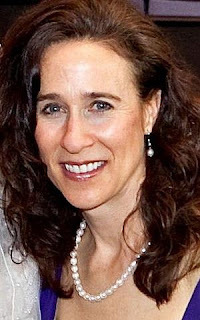 She is a jazz pianist, cartoonist, a licensed tour guide and a writer whose articles are published in The Tower, Arutz 7 and the Times of Israel. Ms. Wilson is intimately acquainted with evil. Eight years ago on a sunny December afternoon, Palestinian terrorists brutally stabbed Wilson and her friend as they hiked a trail in a picturesque forest outside Jerusalem. Bound, gagged and stabbed 13 times, Wilson was determined not to die deep in the woods alongside Luken where their bodies could be overlooked. Somehow, she mustered the strength to walk over a kilometer through the forest on what she calls her own personal “death march” to call for help. Ms. Wilson recounts what Palestinian Muslims did to her and Ms. Luken on December 18, 2010 in this talk at a TEDx event at Ben Gurion University. Her eyewitness testimony and remnants of the killer’s DNA led to the capture of Luken’s killers. They later confessed to murdering another woman, Neta Sorek, in January 2010. The extraordinary story of Wilson’s will to survive, and the subsequent police investigation was the subject of an 2018 Israeli TV documentary titled “Black Forest,” directed by Hadar Kleinman Zadok and Timna Goldstein Hattab. The 50-minute film produced by public broadcaster Kan provided a therapeutic outlet for Wilson, who years later, is still healing from the physical and emotional trauma she suffered in the grisly attack. 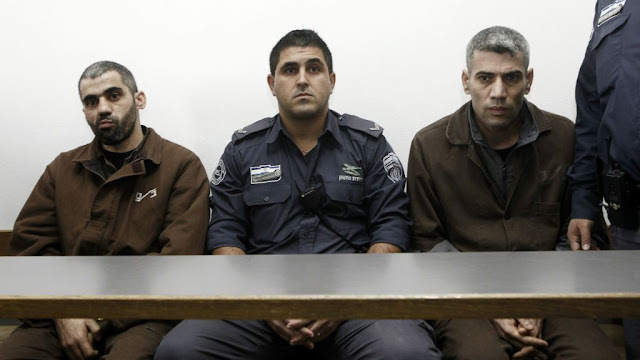 Police revealed that Kifah Ghanimat was the leader of a small, Hebron-based terrorist cell that included his brother, Ibrahim, and Kifah's murder-accomplice Ayad Fatafta. Here is an excerpt from Kifah's return to the scene of the crime which aired on Kan TV. Notice that when asked why did they want to kill Jews (not just Israeli citizens) Ghanimat would not admit to the Jews around him. Muslim culture believes that "infidel" Christians and (particularly) Jews should be subordinate to Muslims. Palestinian culture teaches that, in addition to Jews being enemies of Mohammed, Muslims are shamed by Israeli-Jews having autonomy (and power) over what Palestinian plutocrats inculcate to the Arab residents are their territories. 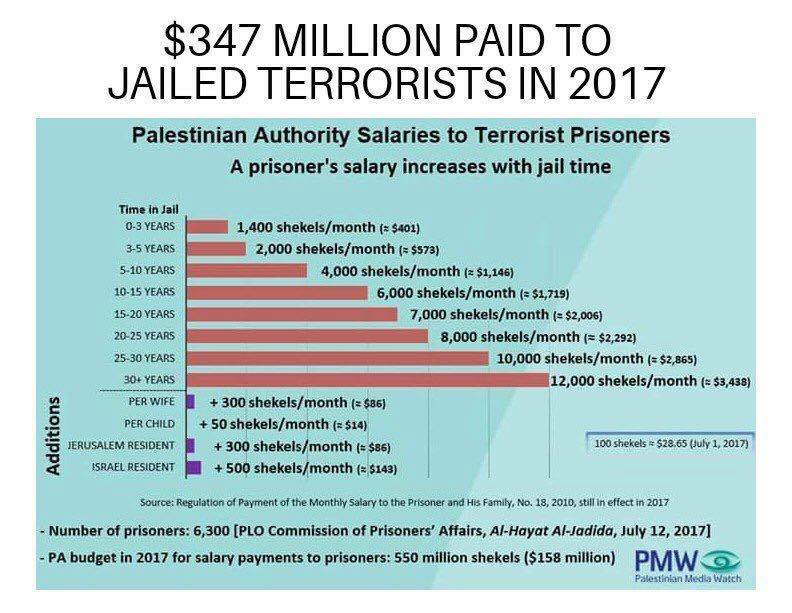 To make matters worse, the Palestinian Authority offers incentive pay to slay salaries while incarcerated or to families of suicide bombers. President Donald Trump has cut funding to the UN programs benefiting the Palestinian Authority. 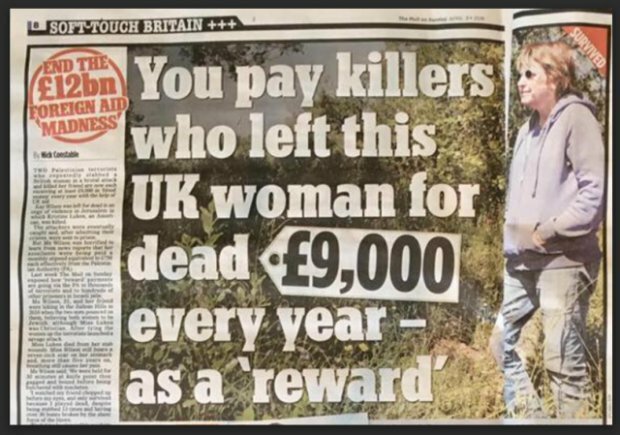 Ms. Wilson has lobbied both the UK government and the Dutch government to cut funding to the Palestinian Authority, but only the Dutch have agreed to cut the amount they determine goes to pay terrorists' salaries. A licensed tour-guide, Kay Wilson, narrates her drive past Jewish and Arab communities in Judea (the West Bank) en route to the Hebron / Kiryat Arba area - where the Muslims who butchered her and Kristine come from. She tours us along the misrepresented areas, where Muslim intolerance for "infidel" Jews has led to a worldwide media campaign of defamation and delegitimization. 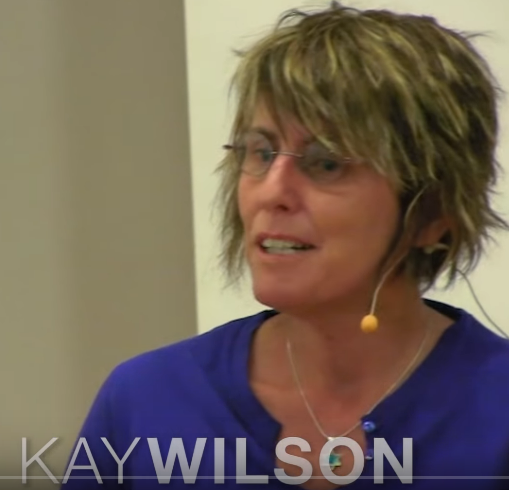 Kay Wilson gets closer to the Arab towns from which her and Kristine's attackers are cultivated by corrupt Palestinian officials to hate and terrorize Jews. 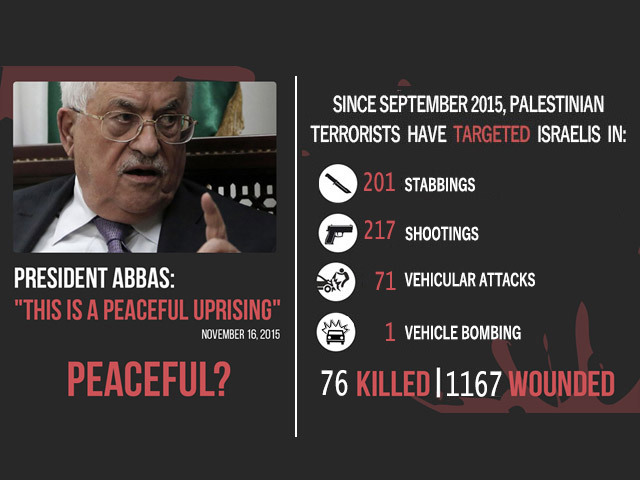 The Palestinian Authority officials - ransoming peace for sovereignty they continually reject to attract foreign aid which they pilfer - in the cause of jihad against autonomy of the kuffar. A Hebron leader and former spokesman, David Wilder welcomes Kay Wilson, Anglo-Israeli terror survivor. Mr. Wilder speaks with Kay about the disparity in reporting about Jewish victims of Muslim terror. He comments on the international press' obsession with the Saudi murder of Islamist anti-Zionist Jamal Khashoggi, while overlooking the Israeli victims of Palestinian terrorism. 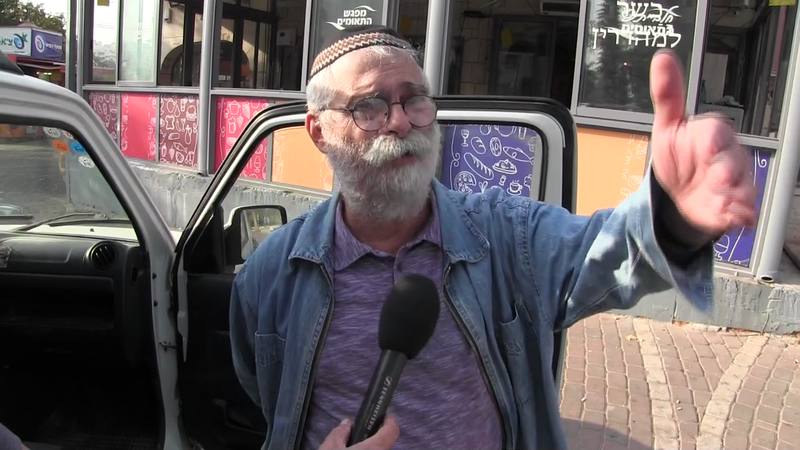 Mr. Wilder compares the safety of living in Kiryat Arba compared to the riskiness of the pious Jews living in Hebron, surrounded by Arab Hebron - from whom the Jews are not safe without police and army protection. But in the interest of co-existence, roads, gas-stations, stores, and even shopping centers are shared between Jews and Muslims. Please follow JooTube on Facebook and Twitter, and subscribe via the website if you already have yet to. At this time of year between Chanukah and Christmas, we offer you the mitzvah of tzedakah to sustain the JooTube video-journalism initiative on the Web and social-networks. While our emphasis has increased to a regular daily feed on Facebook (with videos), our presence on YouTube in 2018 has still informed over 940,000 views! Will you please help keep JewTube.Info producing independent, non-commercial reportage of Jewish, Zionist, and anti-Semitism matters? Your contributing towards the 13th year of defense of the public image of the Jewish G-d and the Jewish people would be a Kiddush Hashem. Please click below or on the website to make a one-time or monthly recurring contribution. To make a contribution via check, please contact JooTube via Facebook. May G-d bless you and your family in 2019 and protect the defenders of Israel!